"We spend more time working than doing anything else in life. It's not right that the experience of work should be so demotivating and dehumanizing." So says Laszlo Bock, head of People Operations at the company that transformed how the world interacts with knowledge. This insight is the heart of WORK RULES!, a compelling and surprisingly playful manifesto with the potential to change how we work and live. Drawing on the latest research in behavioral economics and with a profound grasp of human psychology, Bock also provides teaching examples from a range of industries--including companies that are household names but hideous places to work, and little-known companies that achieve spectacular results by valuing and listening to their employees. 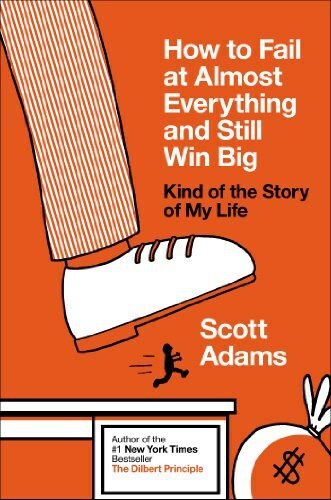 Bock takes us inside one of history's most explosively successful businesses to reveal why Google is consistently rated one of the best places to work in the world, distilling 15 years of intensive worker R&D into delightfully counterintuitive principles that are easy to put into action, whether you're a team of one or a team of thousands. WORK RULES! shows how to strike a balance between creativity and structure, leading to success you can measure in quality of life as well as market share. Read it to build a better company from within rather than from above; read it to reawaken your joy in what you do. Laszlo Bock leads Google's people function, responsible for attracting, developing, retaining, and delighting "Googlers." Bock's earlier experience spans executive roles at the General Electric Company, management consulting at McKinsey & Company, start-ups, non-profits, and acting. During Bock's tenure, Google has been named the Best Company to Work For more than 30 times around the world and received over 100 awards as an employer of choice. In 2010, he was named "Human Resources Executive of the Year" by Human Resources Executive magazine. Your best teachers already work for you.… Let them teach! reminds me of so many details I didnt pay to much attention before. how to apply research insights into human resource management. 这个Notion之前就看过了。做的实验也验证了这一点，用奖来激励员工的时候，发experience比发cash给员工的幸福感更高。 还有reward thoughtful failure，Bullis Charter School in LA做错的题可以再做一遍拿一半的分数，校长：Wanny Hersey 。。。 会几何代数及代数2是很重要的，但是it's just as important that they respond to failure by trying again instead of giving up. 。。。 会几何代数及代数2是很重要的，但是it's just as important that they respond to failure by trying again instead of giving up.